Recording simple video to upload to websites such as YouTube or Facebook. Adding video to online chat conversations using services like Windows Live Messenger. Making video calls via an Internet call service such as Skype. You can also use a web camera for surveillance purposes, although this requires a very sophisticated computer and network configuration. Nearly all laptop (notebook) computers come with an integrated webcam, but it is not as common for a desktop PC, so they must be purchased separately. They are usually mounted to the top of a flat-screen monitor. Will My Webcam Work With My Computer? 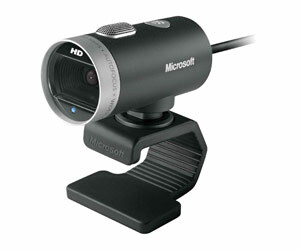 Most webcams mount onto the top of a flat screen, such as an LCD, via a clip base. Some models do come with a flat base that allows them to sit on a desk but, generally, it is easier to mount a web camera in a stable position if you have a flat-screen monitor. A processor speed of at least 1GHz. To use your webcam for video chat or video calls, you will also need a broadband Internet connection. What Is The Quality Of Webcam Images Like? What Else Should I Look For In A Webcam? 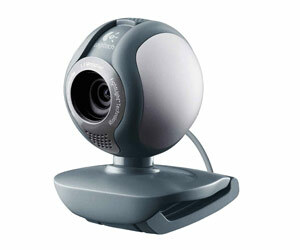 There are also models that include a function to manoeuvre the webcam, such as panning, tilting or zooming. These are often controlled by software programs that are included in the pack, and are useful if you plan to move around while recording video. Web cameras with this function are generally more expensive.